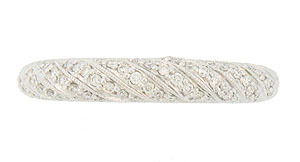 This dazzling 14K white gold antique style wedding band is decorated with horizontal rows of fine faceted diamonds. 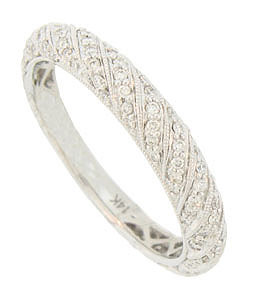 The sparkling design is outlined in delicate milgrain decoration. 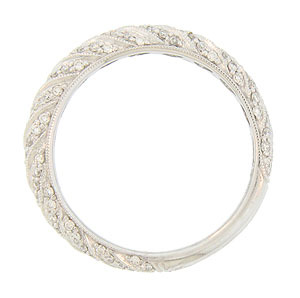 The wedding ring measures 3.31 mm in width. Size 6 1/2. We can re-size slightly.